New Stages uses a solution focused approach to helping individuals and families through a life transition in which they must leave their home. 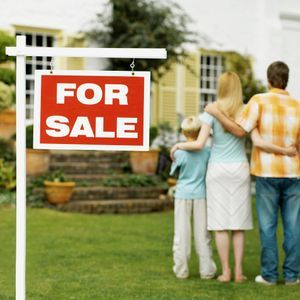 Whether you are putting your home on the market for sale or rent, we can make it look great and move quickly. At New Stages, we know that even the most welcome life changes can be stressful. We will help you focus on the positive instead of becoming weighed down by the frustrating details of relocating. This is especially true when that requires downsizing. We know how to pack up a home and discard unnecessary clutter in the blink of an eye. We also know how to make a home sparkle and smell fresh - not because of some super duper deodorizer - but, because it is truly clean. We don't stop where the visible dirt ends. We deep clean - making sure every surface and corner is white glove ready. If there is something in the home we can't clean, we can replace it! When you are not just moving, but moving on, we definitely shine. Whether you are moving a loved one to assisted living or hospice or picking up the pieces after a terminal illness or unexpected death, we can assist you to prepare any size estate for the market - including helping you figure out what to do with all the contents of the home. "Why us?" is a great question. Here is the answer...because you won't regret your decision. We are a family owned business, not a big corporation. We don't send a "representative" to work with you. Everyone who participates on our projects has skin in the game and is motivated to provide you with the best service possible - because their livelihoods depend on your satisfaction.